So much time. Soooooooo much time. I’ve heard multiple accounts of people who’ve left their desk for an hour, only to return to find over a hundred emails waiting for them, the majority of which all stem from one or two email chains. Deleting them all risks missing a key point they might need to respond to, so they spend precious time they don’t have reading through each and every one. The link between email chains and fruitless ‘busyness’ is both stark, and scary. #2 They define your culture. If I’m a new joiner to the business, and I see everyone else communicating via email chain, what do I do? I assume that’s how we talk to each other. And so our culture becomes one not of open transparency, where people are comfortable chatting face to face and working together to solve problems efficiently, but one where we all hide behind our screens and obsessively read and respond to emails. Not healthy. Really not healthy. Not only the wasted time, but also the fact that in email chains, it often seems that nothing ever actually gets done other than the participants seeking to break a world record for the number of emails that can be sent in a single day. All the time you’re emailing, you’re not actually doing. Email chains and rock bottom productivity go hand in hand. In a very high percentage of the email chains that I’ve seen in my career, they’re used to point the finger at others, based on what they’ve said further down the chain. And again: while we’re focusing on pointing fingers, all that time the problem we should be addressing continues to go unsolved. #5 They cause stress, unhappiness and sap morale. Think about your best days at work? How many of them were spent staring at an email chain? Similarly, think about your worst days at work. I’m going to take a wild guess that various email chains featured in a pretty high percentage of them. Email chains are, plain and simple, miserable, for pretty much every single one of their participants. If we want our employees to enjoy coming to work, we’re on a hiding to nothing if we accept that email chains are a regular part of their daily interactions. 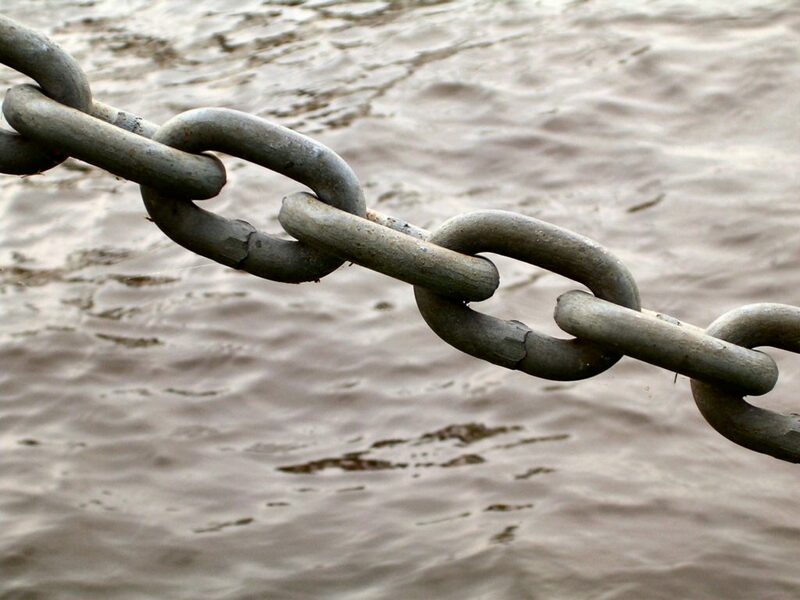 So, with that in mind, I’m going to put the challenge out to every single person reading this: to eradicate unnecessary email chains from their business, once and for all. The next time you read an email with the world and their dog copied in, instead of simply replying, consider your options. Do you need to press ‘reply all’? Could you just reply to the person you actually need to? Better still: could you pick up your phone and chat to them directly? Better again: could you go and have a face to face conversation? And actually solve the problem, as opposed to just talking about solving about it? Because if you can, then I’m telling you now, you’ll have done something amazing. Not just for yourself, but for your entire organisation.